We were both surprised by how well the gardens in Palermo we did see seemed to be taken care of, with attention to trimming and design. We did not visit all the green spaces but hit the major ones. All the ones listed below, except the Orto Botanico, are free to visit. Here is a good site that summarizes gardens of Palermo. Villa Bonanno – This green space is just east (toward the ocean) of Palazzo Reale on Via Vittorio Emanuele. This space is full of palms and has some old Roman ruins in it that hardly anyone knows are there. Villa Garibaldi – Not sure where the Villa is, but this green space has some huge banyan trees in it that make it quite shady. Set your navigators to Piazza Marina to find this park. Villa Giulia - This green space is adjacent to the botannical garden and is close to the sea on Via Lincoln. It’s a nice little retreat from the sometimes endless pavement of the city. Across from the park are two pasticcerias for a quick coffee or snack: Bar RosaNero and Bar Touring. The park closes at dusk. Villa Whitaker – You can tour the Art Nouveau Whitaker (or Malifitano) Villa for 3 Euros or so, or you can enjoy the garden for free. A bit overgrown here and there, it has some great plant specimens the builder of the villa, Joseph Whitaker, had collected over the years. The Villa and the park is located on Via Dante 167, heading away from the harbor. Piazza Indipendenza – This green space is just west (away from the harbor) of Palazzo Reale on Via Vittoria Emanuele. This space has a merryground and seems to be a more frequented spot by locals going to or coming from somewhere. Orto Botanico – This botannical garden is located near Villa Guila on Via Lincoln. Of course it’s late March so not much is in bloom but we were impressed with scientific layout of the garden and the good labeling of specimens. We were surprised by the number of Chorisia speciosa (false kapok) tree and the trunk shapes. From this photo you can see that the trunk shapes can get quite interesting. Terrazza a Mare – This green space is not what I would say is a plant lovers paradise, but it is one of the main promenade spots on the weekends. Young and old congregate on this huge stretch of land by the ocean. 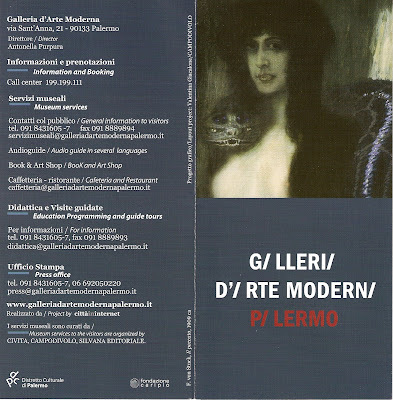 First and foremost, the Galleria D’Arte Moderna Palermo (or the Modern Art Museum of Palermo) has changed location. The old location was by the Politeama, clear across town. The new location is Piazza Sant’Anna (via Sant’Anna 21) which is near the intersection of via Roma and via Vittorio Emanuele. The new location is beautiful and the collection was a pleasure to visit. 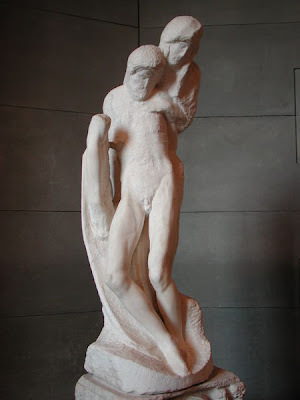 (It happened to be free this week – some national week of free museums or something like that.) The gallery showcases the works of Sicilian arts. 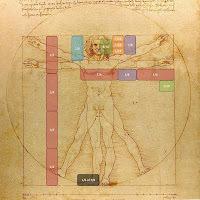 We especially appreciated the work of Francesco Lojacono. 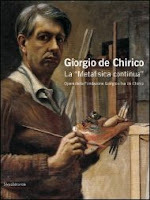 This show (February 28 – March 30) on Giorgio de Chirico was running while we were visiting the Modern Art Museum of Palermo. It seemed quite popular. We didn’t know much about de Chirico before going and had a better understanding after we left. But, afterwards we both turned to each other and confessed that we did not care for his work. It didn’t speak to us, especially the horse/mythological paintings. Looking at them hurt the eyes. Here’s an example. Antica Focacceria San Francesco, the most famous, was probably the least refined in terms of flavors and presentation but still is definitely worth a visit even if to just support the addiopizzo campaign. Queues can get quite long for this popular place. You grab a tray, order, get your food and sit where you can. We ordered something like Menu #4 because it gave us a taste of everything for 13 Euros. It hit the spot as our first meal in Palermo. The Antica Focacceria San Francesco is located on Via A. Paternostro, 58 and opens out onto a little piazza in front of a church. Trattoria Primavera was our Easter dinner and we could not have a more pleasant holiday dinner. It was packed, but we reserved the night before so had a table waiting. On a second outing to the restaurant a few days later for lunch we talked to the owner for a while which sealed the deal for us as a favorite place to eat. You’ll find typical Sicilian dishes here. Trattoria Primavera is near the Quattro Canti in the Piazza Bologna. Maestro del Brodo is near the center of the famous Vucciria market. (The most famous representation of this market is Renato Guttuso’s famous 1974 painting La Vucciria. Search for it. 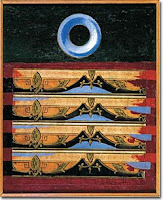 By the way, the painting is in Palazzo Chiaromente which can be visited.) Maestro del Brodo is great because you walk in (at least for lunch the two times we went) and you are pleasantly accosted by two dozen or so very tempting antipasto dishes laid out in a small buffet. Next to that are all the fresh fish you can pick from for your main dish. Both times we got the self-serve antipasti buffet, a pasta dish, and a main fish dish – about 64 Euros for everything including wine and water. As I write this I’m still thinking of an appetizer which was chopped bits of veal jaws and feet (sort of cartilage-y) with a condiment of lemon and salt and served cold. Sounds odd, but it was delicious. However, fish is the main attraction in this restaurant.The Maestro del Brodo is located on Via Pannieri, 7. Trattoria degli Artisti was the simplest of the restaurants we tried. We visited for a late lunch and at first thought so-so, but then as the meal progressed and we talked with the chef we grew to like it quite a bit. The chef came out and gave us a lesson on the finer points of preparing the involtini di pesce spada – slightly different than this video, but gives you the idea. The Trattoria degli Artisti is located on Via Torquato Tasso, 118. Cucina Papoff was the fanciest of the restaurants we visited and the most expensive of this small list of restaurants, though not prohibitive enough to try it. The door was locked when we arrived, but we could hear something going on and so rang the bell and then the door magically opened and we were greeted by one of their great wait staff. You’ll fine refined versions of popular Sicilian dishes. Cucina Papoff is located on Via Isidoro La Lumia, 32. Punto Prodotti Tipici is a nice place to get some typical Sicilian products complete with recommendations for preparation. Plus, visit this place to support the addiopizzo campaign. When we were there just before lunch the owner shared some orange-flavored olive oil on bread and offered wine. The shop is found on Via Mariano Stabile 97, which runs parallel to Via Cavour. We went to Antica Focacceria San Francesco in Palermo once (this last week) and passed through the piazza in front of it several times and noticed that there are always police out front. Why? Well we learned in time that they are guarding the famous eatery. But, why? Because its owner has refused to pay protection money and therefore is the target of the Cosa Nostra. What’s protection money? See here. How sad, but also how positive folks are standing up. In fact, here is a list of businesses refusing to pay “pizzo” or protection money: addiopizzo.org (literally “goodbye pizzo”). Please consult the list of businesses that support this effort and consider patronizing them when in Palermo. I wonder about all the glamorization of mafia behavior in popular entertainment. I imagine it isn’t quite so much fun when you have to live with it for real. It’s not entertainment anymore, it’s life or death. More immediately apparent to the visitor is the bombed-out look of some parts of the oldest parts of Palermo, which is due, in no small part, to the Cosa Nostra’s involvement in city development post-WW II – i.e. “coaxing” everyone out into the periphery of the city. Again, there is hope because we were told it is coming back to life. After the big day in Rome yesterday, it was nice to take it easy and visit the Museo dell’Opera di Santa Maria del Fiore in Florence, our backyard. It’s one of the main museums we haven’t gone to yet and it was recommended to us several times. It was a pleasant surprise. I’d say we appreciated it more because we have the context of living here for several months and we have seen the artist names and knew bits and pieces of the story of the duomo. 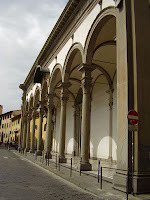 The museum is located east of of the duomo, behind the apse. From the museum you can look out and see the duomo. 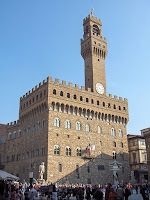 The institution of the Opera di Santa Maria del Fiore was founded over 700 years ago to manage and preserve the entire church complex: main cathedral, bell tower, baptistery, crypt, and museum. The main exhibits in the church are about the decorative phases the church went through and the different pieces that decorated it throughout history and were then removed (oh, the vagaries of changing tastes). Luckily key pieces were saved and are now displayed here. We didn’t know that the façade wasn’t completed until the 19th century. Considering the first stone of the church was laid in the late 12th century it seems like a long time. However, one thing you’ll come away with (and that is a sub-context of this sabbatical) is that the length of time we use commonly to judge events, namely our lifespan, really isn’t that accurate for judging or really understanding historical events. 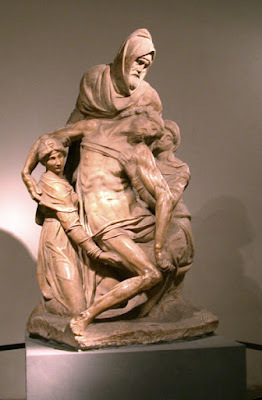 The Florence Pietà 1553. 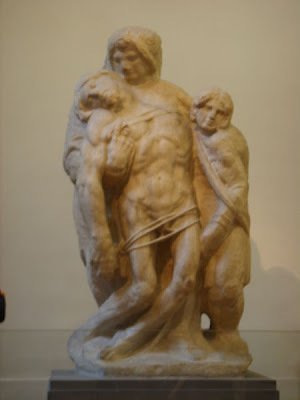 The older figure in back is considered to be a self-portrait, representing Michelangelo himself. 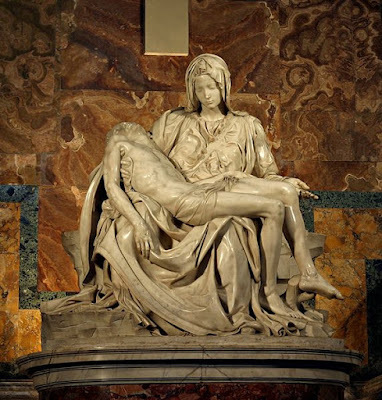 It is also thought that Michelangelo intended this composition for his own tomb. This museum was the winner today for most interesting visit. More relaxed, less crowded, and easier to take in the collection than the Vatican Museum which was the opposite in all respects. There is also surprise view of the Forum, looking down from a part of the museum. As you cross from one part of the museum, under the piazza through a long passage, there is a sign indicating the viewpoint. For some interesting tidbits on what Michelangelo did to help design the Piazza Campidoglio read this. In the Capitoline Museums there are the famous works: The Dying Gaul, Equestrian Statue of Marcus Aurelius (real one now indoors and copy outside), Capitoline Venus, Lupa Capitolina, and a huge head and hand of Constantine I. As well, the new wing of the museum is build on top of and highlights the foundation of a huge temple to Jupiter. (Part was inside and part was outside in a garden. 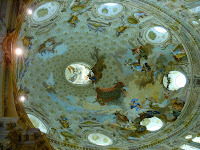 The reworked museum incorporates it all inside.) In this new section there is also an excellent layout of statues found in the Horti di Mecenate. The museum is open to about 8pm so you can see it later in the day. We spent about 2 hours and regretted we hadn’t budgeted another 2 hours. We took a long walk from where we had lunch (near Palazzo Farnese) to the Villa Doria Pamphili. The park is the largest public landscaped park in Rome as you can see from this map. It was full of Romans (modern ones that is) enjoying the Saturday weather. The Villa itself was closed but we enjoyed walking, basically from east to west. The park is split into two pieces by a footbridge connecting them. The footbridge is toward the south edge of the park. If you follow the main path you come to it. There is also a nice café near the bridge. This was our second and third time, respectively, in this museum. We were both lukewarm with this visit due to the fact that it was very crowded. Here are some words of wisdom on visiting the Vatican Museums. + Don’t go in the morning! Wait until noon or so. There could be a difference of a one hour wait compared to no wait. Why? Because, all the tour groups go in the morning and as well as all non-tour groups all seem to go in the morning. We went mid morning even though we read not to do it. Shame on us. Due to this or maybe unrelated, for us, the museum was unbelievably crowded. Wall to wall people on the Sistine-conga line. (I was determined to see the Raphael rooms since we’ve talked about them so much in my art class.) There are little bookshops to buy “things” every 200 yards. Honestly, it’s hard to tell if you are in an exhibit space or a bookshop half the time. ++ Don’t go to the museum thinking you will be able to take it all in at once! Not possible. Pick a section and go for it. Most people pick the Sistine chapel route which is a 2 hour conga line of people winding its way on a one way route to that chapel. Honestly, it’s better to view the Sistine chapel in pictures. Go as far as the Raphael rooms, if you must, and then backtrack and see something else. The whole museum is set up as a one-way people mover so going back to the beginning to pick a different route is hard. Just after entering the museum you have your choices of routes in the beginning. ++++ Bring ear plugs so you don’t have to hear the guards shouting every 10 seconds “NO FLASH.” Believe me, you lose faith in humanity when people can not or refuse to follow simple instructions. As we waited to go in the museum we were accosted with the usual: people handing out flyers to go eat something here or there, cheapo scarves, accordion music (“I’m a frito bandito…” etc. ), beggars with deformities that had me gasping (like giggling, grapefruit-sized, growths on the head, really), and competitive tour companies trying to woo you out of line. Then, as we left – 1pm now and NO line, damn – you are accosted with knock-off purses, sunglasses, remote control cars, pens (a nice change from the usual), and sunglasses. Sigh. This is a little shop in Piazza Santo Spirito, close to the church steps. It specializes in dried grains, rices, and beans – sold in bulk. We’ve gone in several times and have always been happy. This time, we wanted to get some barley “orzo” and the guy working there was funny because he was telling us (in Italian) that it was slippery “scivoloso” to him and he didn’t like them. I thought he said gross “schifoso” and he said, yes, that too. A new word of the day. Today I was in the Uffizi on a tour with the British Institute and remembered these portraits of young Medici who also display some sprezzatura. These portraits are all in Room 18 of the Uffizi which is called “The Tribune” and was built by Grand Duke Ferdinand I, one of the sons of Cosimo I. 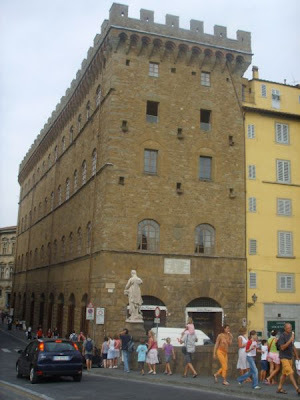 The room held the special items in the Medici art collection which naturally changed as tastes changed. Unfortunately, it is a poorly lit room and the way you have to go through it doesn’t make it conducive to viewing art. It’s a shame because there are some interesting paintings in it. There are quite a few by Agnolo Bronzino who was the court painter for Cosimo I. Here are two that Bronzino painted that are in the Tribune room: Portrait of Bia de’Medici 1542 and Portrait of Francesco I de’ Medici 1551. The Renaissance portraits of the late 1400s and early 1500s by Leonardo and Raphael, for example, show sprezzatura-in-spades. Take for example, the two portraits above; Leonardo da Vinci’s Mona Lisa 1502-1519 and Raphael’s Portrait of Maddelena Doni 1506. Note how the sitter really doesn’t look at you, but past you and looks almost bored. That’s sprezzatura. The Mona Lisa and Maddalena Doni have it. Do you? By the way, the strange body shapes for women - no shoulders, long necks, and barrel-shaped bodies - were a Renaissance ideal for female beauty. Portraits started off being side profiles, then front-on, and finally to a slight turn to give portraits more dimension and movement. Shown below are examples of each type. Piero della Francesca’s Battista Sforza and husband Piero della Francesca’s Federico da Montefeltro 1472. In the earlier, side profile portrait style it's hard to tell if sprezzatura is there. Ghirlandio’s Portrait of Giovanna Tornabouni 1488 and Raphael’s Portrait of Elisabetta Gonzaga 1504 (daughter-in-law of Federico da Montefeltro and a character in The Book of the Courtier). 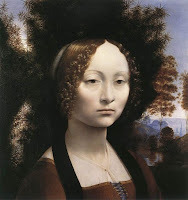 Leonardo da Vinci’s Ginevra de’ Benci 1475 and Raphael’s Portrait of Angelo Doni 1506 (Maddalena's - shown above - husband; at least he looks at you). - Via dei Leoni (near Piazza Signoria). Lions are one symbol of Florentine jurisdiction and there were indeed live lions kept in Florence in the 13th and 14th centuries. They were kept on or near this street. - Via del Canneto (Oltrarno). “Canna” is a reed and “canneto” is a read break (or grove of reeds). We live on this street. - Costa Scarpuccia (Oltrarno). Probably a diminutive of “scarpata” meaning slope. The street is very steep. The suffix “uccia” expresses smallness (a short street in this case - likely) or endearment (maybe people love to climb this street? – unlikely). This street is near where we live. - Via delle Oche. The street of the geese. “Oca” is goose and “oche” is geese. The origin of the street name is uncertain. Two possibilities could be that it refers to geese ate on All Saints day or a family's coat of arms who lived there. - Via dell'Olmo. Street of the elm; a big elm tree stood on this street. - Via Madonna della Tosse. Mothers came to a location on this street to pray for their children who had whooping cough – hence then name "Madonna of the Cough". Eventually the church of the whooping cough came to be: La Chiesa della Madonna della Tosse. Finally, the book mentions that “borgo” means that the street was at one time outside the city walls. I had wondered why that was used in street names. Good, but which walls? There seem to be several old city walls. 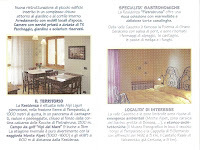 The Residenza Pietrabruna is a bed and breakfast in Serra Pamparato in the Cuneo province of Italy. We stayed for two nights while we were visiting family in the area. There are three rooms in the residenza and kitchen – that’s it. The rooms were in great shape and clean, and the breakfast hit the spot. The owner, Giovanna, was very friendly and we talked for some time about food and recipes (what else do you do in Italy). She gave us some farina saracena (buckwheat) to try back in Florence. The best way to get there from Niella Tanaro (where the main autostrada drops you) is to go through Roburent. Here is the exact location. It took us about four hours to drive from Florence to Serra including a half hour break. A distance of about 350km. If you are into tunnels, this is the drive for you because Liguria, especially around Genova is nonstop tunnels and bridges. It would not be an exaggeration to say we went through 100+ tunnels on our way there. Some amazing engineering. 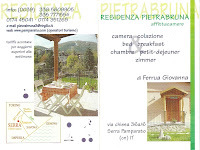 We stayed 4 nights again at PietraBruna and had a wonderful time again. This time we took 2 of the 3 rooms. The host Giovanna is a wonderful person and we spent time each morning chatting with her (in Italian and Piedmontese). We got to meet some of her family and learn more about the history of Serra-Pamparato. It turns out that Giovanna and her husband, Gianfranco, created the Ethnografic Museum (Museo Ethnografico) just a few doors down from the B&B. 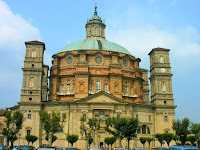 If you can, take a tour of it with Giovanna or Gianfranco. You can find these vegetables, called agretti, in local stores now in Florence. We saw them in stores but thought it was wheat grass. How unsophisticated. Then we heard someone talking about them and figured out what they were. We then tried them. To prepare them we first removed the red part which can be time consuming. Then we parboiled for 10 minutes, drained, sautéed in a little olive oil and garlic for a few minutes. They were then served with a little lemon juice, olive oil, salt, and pepper. They have a fairly mild taste. Reminded me a little of spinach. Agretti is also called “roscana” or “barba di frate” (monk’s beard) and sometimes misspelled (I think) “barba di fratte” (which would translate to thicket beard, which doesn’t make sense). Here’s a site on preparing this vegetable and one on ordering the seeds.